This is just lovely! I was wondering if you had a spare minute you could let me know what make the embossing folder is that you've used! I need it!! This is stunning Sylvie, a really beautiful design and wonderful colours. Hi Sylvie, what a fantastic design...love it ! This is fab Sylvie - and it would make a terrific birthday card for a man too! Gorgeous card Sylvie, I love the star and the embossing. A gorgeous classy card - love it. I hope you have a fantastic and very creative 2014 hun!! Ooops - sorry Sylvie I'm a tad late with me commentin'! This is beautiful - I love the stamp you have used and the colours you have chosen. A card I would definitely keep! Hi Sylvie, Missed the challenge deadline, but wanted to pop by to enjoy your beautiful card and wish you Happy New Year. 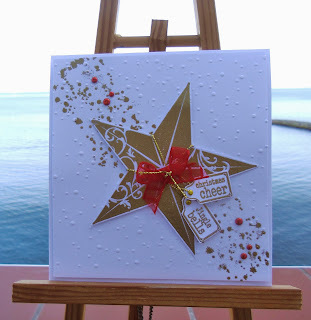 Love this star theme on your pretty card, and liked the galaxy trail you placed behind it. The pop of red was just right for the golden glitz. TFS & Hugs. Goodness...good thing I paged back...I nearly missed this one. I was sure I had left a comment before. This is wonderful. 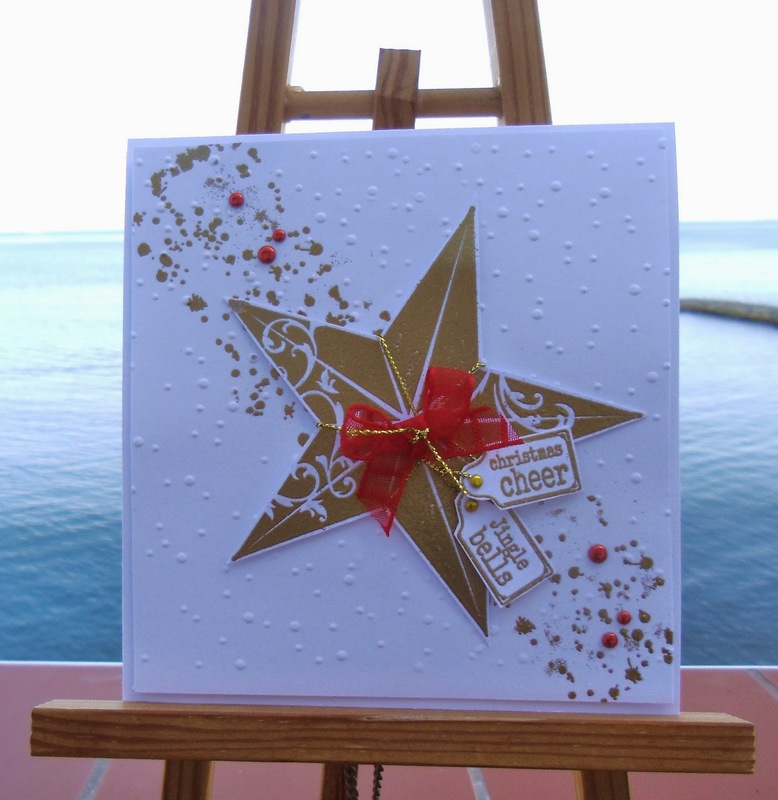 The star is great and the splatter look is fab!